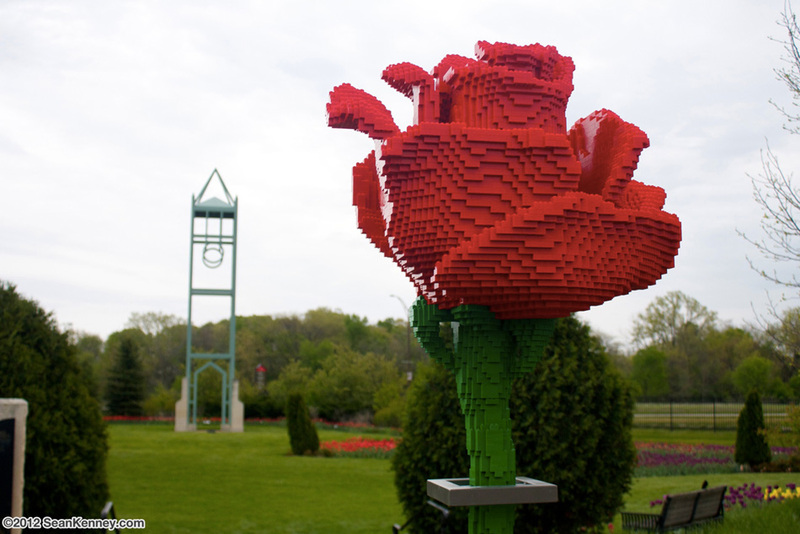 The sculpture is 7 feet tall and was built with 41,242 LEGO pieces. My assistant, Jung Ah, did much of the brickwork on this elegant piece, which was designed and built the way a real rose is built... every petal is there, unfurling out from the rose bud. This sculpture was so tall, we had to put tables on top of tables (and then step stools on top of that!) in order to be high up enough to finish the uppermost layers!